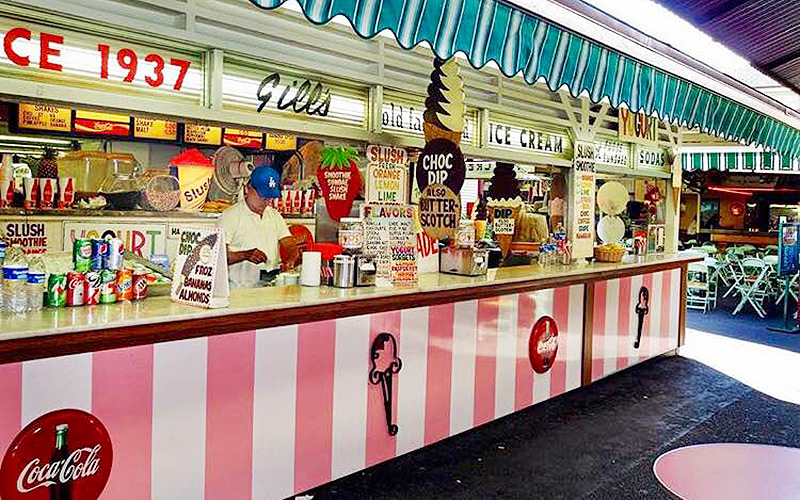 Update, January 23, 5:42 p.m.
It’s the end of an era for Gill’s Ice Cream at the Original Farmers’ Market. 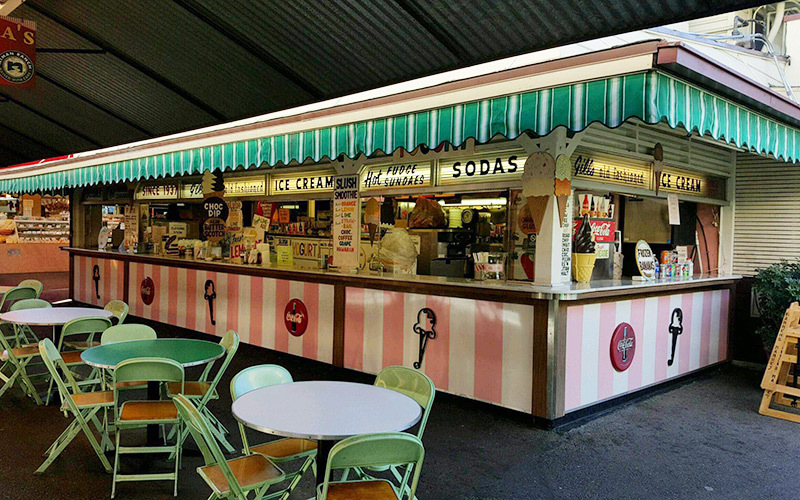 The iconic pink-and-white stall, which has been scooping ice cream the old fashioned way since 1937, will serve the last of their classic soft serve on February 2. As a youngster, I tasted my very first chocolate swirl cone at Gill’s. My mother watched my head explode with chocolate euphoria. According to owner Jody Gill, the Market has put pressure on the family-owned business to remodel, including an update to its facade and the removal of its retro decor. “Part of our charm is the original whimsical facade that my father, Bob Gill, created back in the late 1930s,” Jody says. “It’s just so sad that we can’t keep our original store front. Unfortunately I have no choice other than to close.” When reached for comment, the marketing department at the Farmers’ Market confirmed that Gill’s would be closing on February 2 and that it would be replaced with another old fashioned ice cream parlor. I always thought it was so extraordinary that we still had this little touch of vintage Los Angeles that was so wonderfully unchanged after all these years. I am deeply saddened to say goodbye to the second-happiest place on earth. 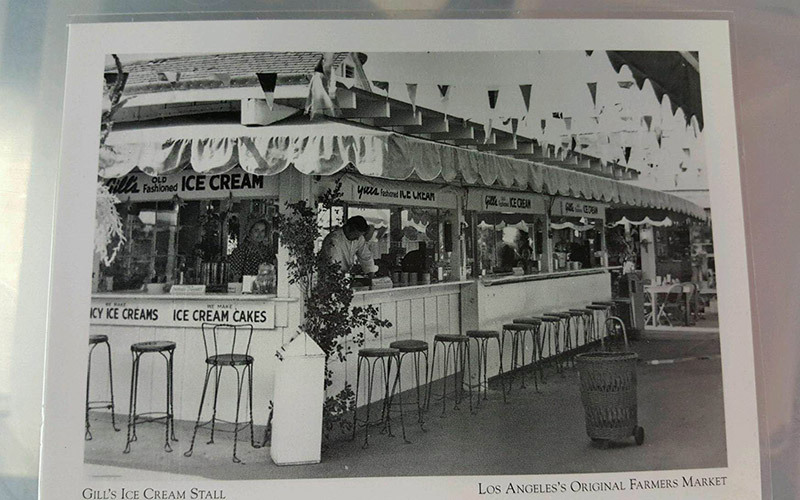 I’ll miss their frozen dip bananas, sundaes on Sundays, and their cherry cokes with true cherry syrup.